Find the best Gifts for Guitar Players and Gifts for Musicians at all price levels at the best prices curated by our Editor Rick Baker, a Guitarist for 40 years. If Rick wouldn't want it or doesn't already own it, it won't be reviewed and recommended. 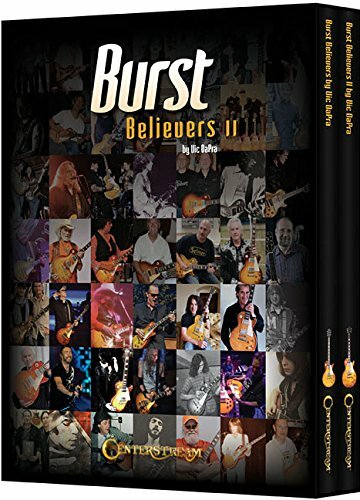 No better handpicked list of great gifts for guitarists out there. GIFTS FOR GUITAR PLAYERS AND GIFTS FOR MUSICIANS THEY WILL ACTUALLY WANT AND REMEMBER YOU FOR! Gifts for a guitar player or gifts for musicians generally are not easy to buy. Sure, you can buy the guitar player in your life (or for yourself if you're a guitarist) some token gift you think they might like...but getting something a guitar player or musician actually wants, will actually use, will appreciate you for, that is a quality item that doesn't cost too much, is not an easy thing. As a guitar player of 40 years, I've gotten my share of lousy guitar player gifts. Hey, you can't blame the people who love you, especially if they don't play guitar or they're not a musician. Their heart was in the right place but they just had no idea of what you wanted, I mean really, really, wanted, that you would be excited to receive and would use and treasure for a long time and remember who actually brought them that special joy! That's why I decided to dedicate my curation talents, likes and dislikes and give this some serious thought for you, whether you are buying gifts for guitar players or you are a guitarist or musician interested in what's out there currently that's cool. Here's my bottom line: If I don't think it's cool, wouldn't want it or don't already have it...it won't get featured or recommended. What that means is that I will not be listing just any old piece of guitar gear or merchandise, book, etc. that may or may not be of interest to the guitar player in your life or you, if you're a guitarist. It means that I've scoured the online marketplace for you and using my 40 years of guitar playing experience and love for all cool and useful things guitar, I've narrowed it down for you, with clickable links...no less. I look for good online deals and the coolest stuff out there in a variety of prices ranges which I feel are a good deal as well as worthy as guitar gifts or music gifts. Please also note that I will be writing detailed blog worthy reviews and descriptions and not just posting stuff with no explanation of it and why I think it worth owning. There will be photo images, videos, and my personal summary and review of why I think it worth your money as a cool guitar gift. Disclosure: I do receive small affiliate commissions on some (not all) items that I will recommend but as I have already stated, I will not recommend something that I personally would not want or don't already own. I will be adding items (with links) continuously and will be organizing them by category and price range as the list grows. So if you don't see something appealing now, please stop back and visit this page again for updated information. If you would rather receive automatic updates via email to get the latest gift guide additions and gear reviews, just join here and you will get the most current updates every time we add new gifts for guitar players based on our recommendations. It's much easier to do it this way and we will not publish or sell your information to anybody! Thanks for requesting to get your updates via email for new additions to our gifts for guitar players and musicians guide. We will be reviewing new items all the time and making new recommendations for you and this is just a simpler way to stay in the loop on the latest cool gear and merchandise we would want and that you may want too. This is the first recommendation on our guide. As far as gifts for guitar players go, we think this is one of the coolest and affordable must haves for any electric guitarist. A guitar cable with a built in digital recorder for under $100? Are you kidding? Click the image or title above to check out our detailed review of this bad boy piece of guitar gear. Every guitar player needs a quality guitar stand whether for home use or stage use. This is my favorite guitar stand after years of using a variety of different guitar stands. Click the image or title to learn why it's my favorite and the guitar stand I personally own and use. A great gift and a must have for any guitarist. 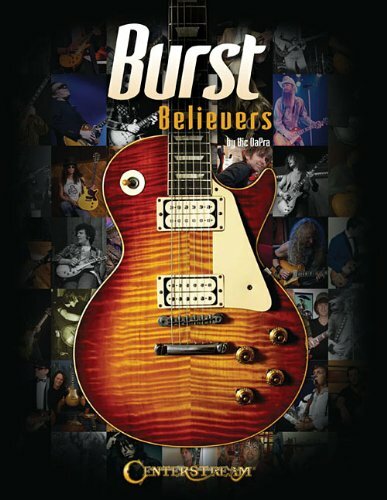 Every guitarist loves a good guitar book and this is certainly one of them. The author had unprecedented access to the Fender files and people who were there when these revolutionary guitars and amps were created. 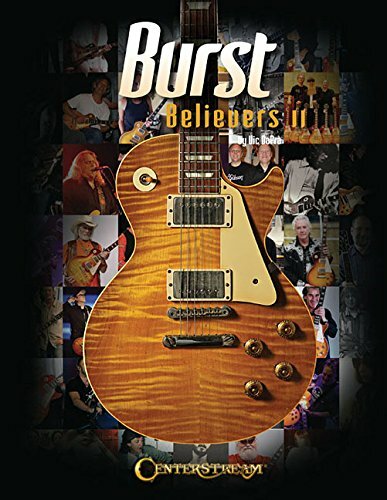 For anyone, like me, who is truly into all things Fender guitar, this book is a treasure trove of information from the original sources and some great photos too. 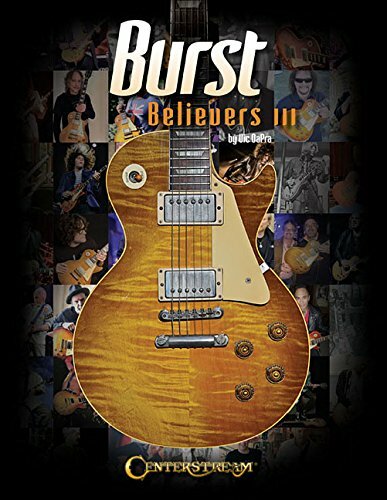 I've also provided a link on this item to some other "must have" books from the guitar player. Some of them delve deeply into "guitar archaeology" like this book and others are just great pictorial pleasures.